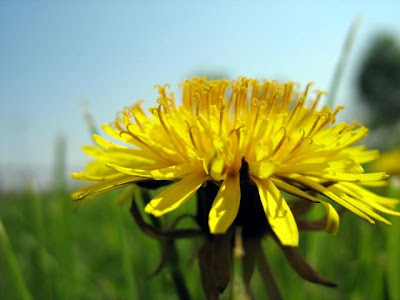 Apparently, I've Been Domesticated: Dandelion Jelly? I found this on Apartment Therapy today. Dandelion Jelly courtesy of Yummy Supper. I have to make this. I noticed my Wow! That's so cool! I have to do that! List is getting ridiculously long....a girl can dream of being productive, can't I?